Since it’s origins in the late 1970s hip hop music has in large part involved the practice of sampling and utlising existing sources to make something new. Mixtapes have taken that principle in a different direction with rapper’s using existing beats without altering them, hoping to capitalise on the success of the original song. 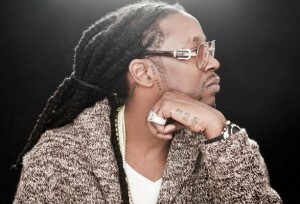 One rapper speaking out against this approach is Atlanta’s 2 Chainz. He is unhappy about the use of his No Lie beat, produced by Mike Will, by various rappers. Overlooking his poor spelling and grammar 2 Chainz brings up an interesting point about creativity and respect in the rap game. He is one in a long line of artists who have recently spoken out on the issue. Veteran artists Lordz Of The Underground, Pete Rock and Lord Finesse have all voiced their distaste, with Finesse filing a $10 million lawsuit against Mac Miller for using his Hip 2 Da Game beat on his 2010 viral hit Kool Aid and Frozen Pizza. Are these rappers being hypocritical or do they have a point? Let us know in the comments!